Why do people hire cleaning companies to clean their homes? Obviously, reliable house cleaning services in La Habra Heights can save you energy, time, and even money. But is that it? Are there other benefits and first-rate residential services a maid can provide? You bet! There are many reasons why you should hire maid services, including ridding your home of dust, dirt, and clutter effortlessly. Read on to learn more about home cleaning and how expert cleaning services can make your life infinitely easier. Your bedroom’s a mess, the bathroom’s hopeless and the kitchen’s in shambles? We’ve all been there. It’s hard mustering up the strength to deal with the cleaning when there are so many other things on your plate. Giving your home a thorough scrub can be quite a handful so it’s no wonder many people choose to book a dependable maid service in La Habra CA instead. 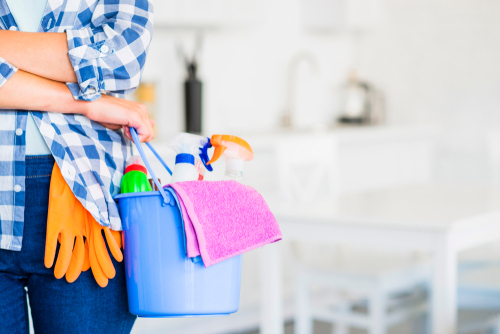 There are many benefits to booking a cleaning service, including stress relief and more energy for other responsibilities. Starbucks isn’t the only one dabbling in all things pumpkin. If you’re one of those people who enjoys the sweet but tangy taste of pumpkins with a little bit of spice, then these recipes will surely satisfy your autumn cravings. Pumpkin is one of the unique flavors in the beverage and cocktail world. While it’s not the most versatile, there are numerous pumpkin delight recipe flavored mixed drinks that you can do in minutes. 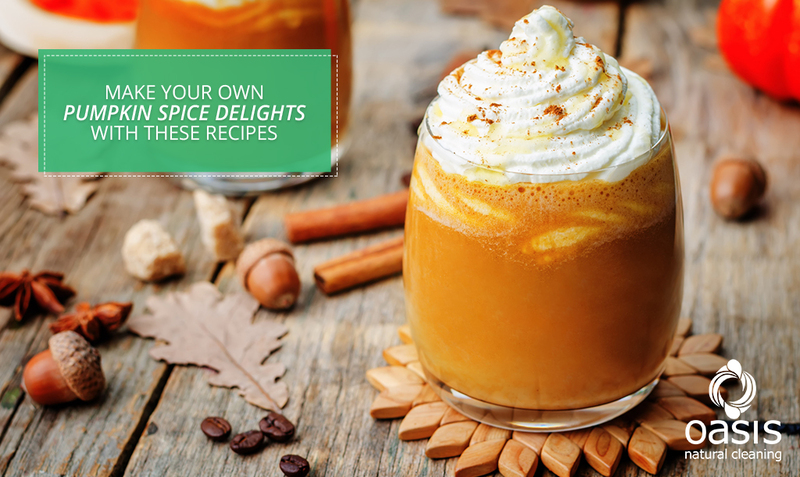 Here are some of the popular pumpkin recipe drinks that you can make with these recipes! When fall arrives, you rush to your local coffee place and order a pumpkin spice latte. But wouldn’t it be nice to create your Pumpkin Spice Latte at home? This recipe will surely give you autumn vibes even when you’re at home. It’s easy, and it takes under 10 minutes to make. If you want to taste pumpkin-flavored drinks, but scared about the strength of its flavor, then the lovely Polished Princess is perfect for you. This drink is an excellent way to ease into this kind of beverages. It will give you the right amount of pumpkin pie flavor without getting overwhelmed by it. For autumn, this drink is fantastic and a simple vodka martini. It could be paired with a vanilla vodka with fresh cranberries and a pinch of pumpkin spice. With the help of the egg white, it has a terrific texture that anyone can enjoy. Apple Pumpkin Beer is like a pumpkin pie had a baby with an apple pie and it’s glorious. This recipe is perfect for people who aren’t ready to be exclusive with a pumpkin cocktail. You can easily prep this recipe by combining more bourbon, apple cider, and of course, pumpkin beer. Make your own ginger vodka while you still have leftover pumpkin puree from yesterday’s party. You’ll enjoy this pumpkin spice cocktail recipe. With lime and honey water, the play of spicy ginger against the puree is quite interesting as they bring it together admiringly. Consider adding a sprinkle of pumpkin spice for a simple seasonal garnish for any of these drink recipes. This drink is by far the best recipe that compliments the pumpkin flavor and makes it delicate, not overly done like others. The Great Pumpkin is an exceptional cocktail with a unique ingredient. You’ll be able to pull off this drink by creating a pumpkin-infused Scotch whiskey that is a natural infusion to do at home. Although it will take about two days to make, it is indeed worth the effort. It is paired with maple syrup, lemon juice, and ginger liqueur with a dash of cinnamon. One sip and you’ll instantly fall in love. Take a look at these recipes and satisfy your autumn cravings with these cocktail drinks. This will surely step up your game when it comes to parties and social events. 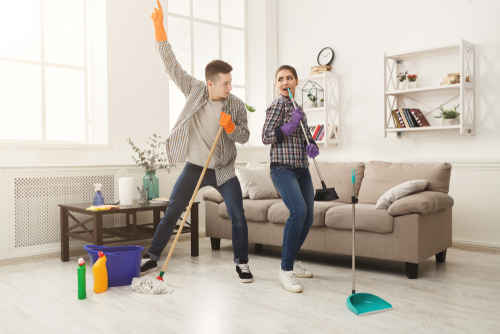 After having a fun and fantastic party at home, you should hire a professional house cleaning service to give you a much-deserved break. Tasty, but Healthy, Snacks For Your Kids! 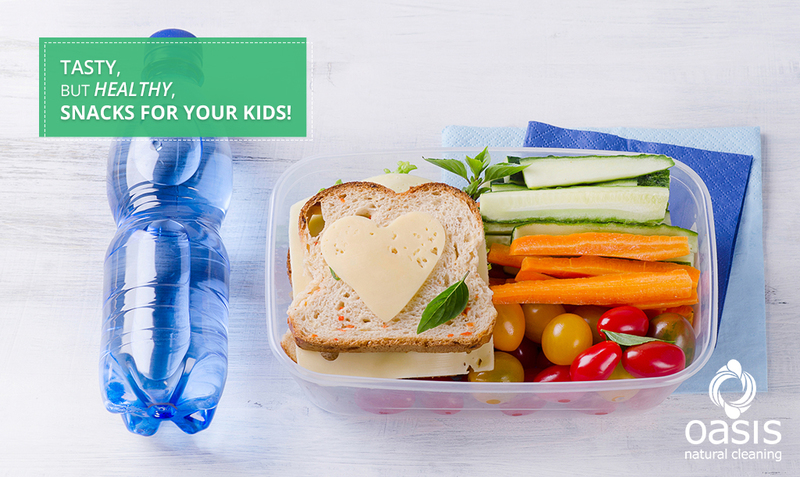 Getting your kids to eat healthy snacks isn’t as easy as giving them those sugary sweets that they always love. As parents, you should be stepping up your game to make your children choose fun healthy snacks for kids such as fruits and vegetables over salty, high-fat snacks. After all, your choice of your kids’ meals can decide the fate of their health. Don’t restrict their diets to just crackers and cookies. Remember that the perfect snack has a combination of fiber, some protein, and a little bit of fat. With this combo, your children will surely be satisfied and fueled to take on their busy days and also take as homemade healthy snacks for school. Your search for the tastiest and healthiest snacks ends here. Here are some typical, nutritious food for your kids that they will surely enjoy! Yogurt alone is not enough; as parents, you should buy your kids low-fat yogurt, which is an excellent source of calcium. Not only that but introducing it as a nutritious snack is a piece of cake! Turn a low-fat yogurt in a multi-fruit yogurt parfait by showering it into a variety of berries, or whip up a homemade fruity yogurt. You can also use Greek yogurt, which has a lot more protein than the regular ones. Pancakes are indeed everyone’s morning best friend. But to make them tastier, softer, and healthier, try using whole grain flour. Add more flavor and serve it with toasted nuts, chopped fruits, and a drizzle of maple or honey syrup. It will be a definite hit, not only with the kids but also with adults too. Try preparing this in the morning, and your family will spread good and healthy vibes throughout the day! Hummus is a fantastic dip for children and is made from pureed chickpeas. One bite and a yummy nutty flavor explode. It’s thick enough not to be super messy and contains vitamin B6, folate, and iron. The great idea is to serve hummus with vegetables or salt-free crackers. Check out these recipes for hummus with veggies to prepare for your kiddos! Have you ever wondered why chocolate brands usually have flavors with nuts and raisins–the ultimate combo? Companies know that people, especially your kids, could use the protein, fiber, minerals, and vitamins. Don’t you worry if your child is a picky eater, you can always improvise on a yummy baked snack they won’t be able to refuse? He or she won’t even know there are nuts and raisins in them. Of course, we couldn’t leave out eggs, could we? Nutritionists say that one egg can provide a 4-year-old child with about a third of protein requirements for the entire day. Stock a bunch of hard-boiled eggs in your fridge, or cook scrambled eggs for your kids in the morning for breakfast. They can eat them with whole wheat bread or rice! Let’s move on to the most effective snack yet–smoothies! Not only will your kids get crazy over these deliciously sippable cold treats, but you can put in any nutritious ingredients in them without your child suspecting a thing! Simply add all the fruits that your children don’t want to eat. Blend them with low-fat milk or yogurt, and you’re ready to go! Take a look at these recipes for more smoothie ideas. Keeping your kids eating healthy snacks isn’t as hard as it seems. Use this guide to help you out and avoid a stressful tug-of-war with your kids. 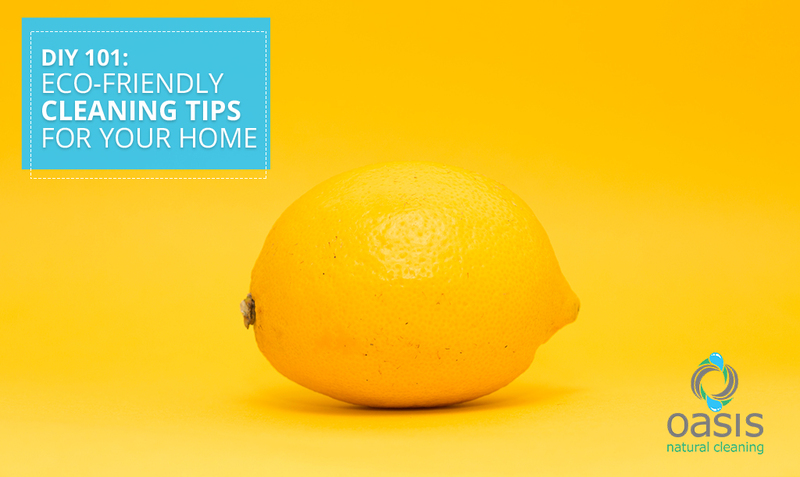 And don’t forget, aside from healthy eating, you should always maintain a clean home too! You can always have a professional cleaning service to do the job for you. Natural and green cleaning products are a new way to make your house spotless while maintaining it safe, non-toxic. In your pantry, there are some items like baking soda and vinegar are excellent cleaners and cheap. Here are some safe ingredients that you can use for your homemade green cleaning solutions. One of the trusted cleaning agents, baking soda cleans, deodorizes, and scours. This works best on proteins, grease, and animal messes. Because it’s slightly abrasive, it can be used for scrubbing—and, of course, it’s a natural deodorizer. Unscented soap in liquid form—along with powders, and bars—is biodegradable, eco-friendly, and will clean just about anything. Castile soap is one example of an outstanding, all-around cleaning ingredient. Don’t forget to avoid using soaps that may contain petroleum distillates. Use white vinegar to cut grease; remove mildew, odors, and some stains; and to prevent or remove wax build-up. This mild acid works on alkaline substances, dissolving scale, inhibiting mold, and cutting soap scum. It’s terrific for stains such as coffee, rust, and tea. Washing soda, or SAL Soda, is a mineral that is made out of sodium carbonate decahydrate. It cleans grease, removes stains and cleans walls, tiles, sinks, and tubs. You must use with care since washing soda can irritate mucous membranes and do not use on aluminum. Olive oil is more than being a healthy cooking oil. It’s also a cleaning tool that can nourish surfaces and loosen stains, grease, and grime. Use in homemade wood polishes. Alcohol is an excellent disinfectant. However, some safety concerns with isopropyl alcohol (also known as rubbing alcohol) make other forms of alcohol the more careful choice. Vodka is a strong odor remover, and different types of ethanol (grain alcohol) can be used for cleaners and disinfectants. Citrus solvent cleans paint brushes, oil and grease, and some stains. But beware, a citrus solution may cause skin, lung or eye irritations for people with multiple chemical sensitivities. Oxygen-based bleach (usually made from sodium carbonate and peroxide) delicately removes stains, whitens fabric, and has some applications in household stain removal. Many familiar brands of oxygen bleaches have some added (and less benign) chemicals, so it’s best to look up the brand before working with it. Hydrogen Peroxide is a common disinfectant used to treat wounds, but you can also use it to disinfect your kitchen or bathroom. It has a mild bleaching effect that makes it an excellent stain remover for grout and fabrics. Although it may cause any skin or respiratory irritation, so handle with care and be cautious. To get you started, here are a few recipes, techniques and benefits of green cleaning! In a spray bottle, combine 1/4 cup of vinegar with one quart of water. Spray the solution on the glass and use an old newspaper or lint-free cloth to wipe clean. To create the mixture, mix two parts of vinegar, one part of baking soda and four parts of water. Then, apply with a sponge to scour and wipe away any filth on your countertops or tiles. With a gallon of hot water, pour four cups of white distilled vinegar in a bucket. If you want to add some scent, you can add a few drops of lemon oil or pure peppermint. The smell of vinegar will disappear after damp mopping the floors and leave the scent of the oil behind. Combine one part of lemon juice and one part of olive and oil. Apply a small amount to a cloth and rub onto the furniture with long and even strokes. Sprinkle baking soda on your toilet brush and scrub away. You can also disinfect your toilet by cleaning with borax instead, then wipe the exterior of the bowl with straight vinegar. To make sure that your home is shining and spotless, hire a professional house cleaning service. You can always ask them if they use green cleaning service and eco-friendly cleaning products. Let’s help save the earth by using environment-friendly products. Children’s Online Safety – How Can You Do It? Let’s face a harsh truth–even if the internet can help with your child’s education and entertainment, it can be a nasty place. One click of your kid’s search for ‘bunnies’ can turn up other things that aren’t lovely animals. Between malware, explicit content, predators, and other harmful factors, parents find themselves in an endless cycle of doom and gloom as they keep their children safe from threats online. It is indeed a tricky situation without a perfect solution, and it can be difficult to know where to start. You can opt for antivirus software, parental blocks, child-friendly browsers, and the plan to entirely ban the internet altogether. 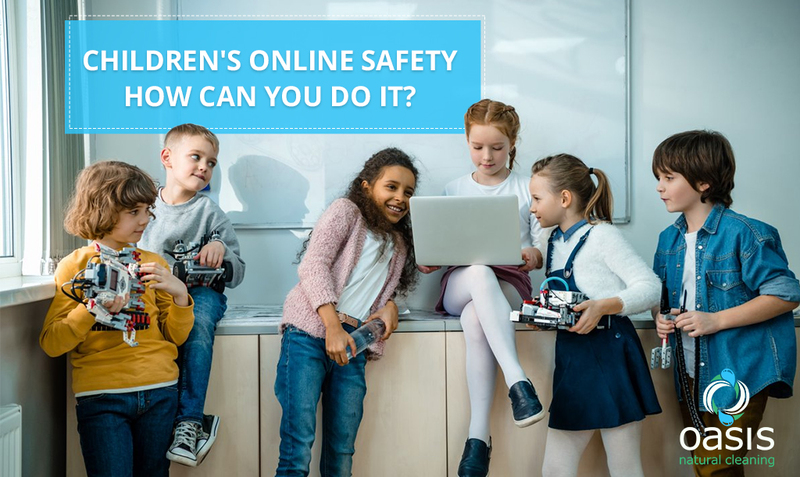 The first thing you need to keep internet safety for children is for you to be educated about the possible threats they can be exposed to and the measures you can apply to neutralize them. Here are the most common internet safety facts, hazards that your children might encounter on the internet and what to do about them. At a young age, children can trust easily, so it’s not much of a surprise that they sometimes share their private passwords with friends. Unfortunately, this can lead to your kid’s account being hacked. The hacker may pose as your child and post distressing or embarrassing content on social media or send threatening private emails that people may think came from your kid. Continuously update your antivirus protection. It’s an essential thing that your child doesn’t share his or her passwords, but it’s also as critical to install antivirus software and update it. It is one of the best ways to secure all your gadgets and devices against hackers and cyber threats. It can be a combination of uppercase and lowercase letters with numbers and characters. Frequently remind your young one not to share their passwords with anyone but you. Also, don’t forget to make sure that their usernames aren’t easy to guess. Cyberbullying is a common online threat, and it is indeed no joke. The Cyberbullying Research Center says that there is more than 27% of children bullied online. In grave instances, this kind of act can lead the victim to commit suicide. Often remind your child to be open to you about any offensive or hurtful messages they receive, and make them feel that they’re not alone. Keep a record of the harassment and if necessary, report the problem to your local law enforcement agency. If your kid is being harassed through email, social media, or instant messaging, strengthen the account’s privacy setting and block the cyberbully immediately. You can go to stopbullying.gov to learn more about the prevention of cyberbullying. You may have heard of cases where teens receive unwanted solicitation through the internet. Predators usually use social media to learn everything about their victims like the home address, likes and dislikes, school, and event location. Keeping track of your kid’s online activities, periodically checking their social media accounts, and talking to them about anything that bothers them is a great way to protect them. You can use apps to track their web history, messages, phone calls, and GPS location. Openly talk about the issue. Make your child feel comfortable talking about the issue, and use age-appropriate language when explaining the threats of online predators. Help them secure their social media accounts and tell them to inform you immediately if something like this happens to them. More often than parents realize, kids are the most usual victims of identity theft. They are primary targets because they tend to post a lot of personal information online. Plus, they also have clean credit records. Never allow your kid to post things like their full name, birthday, or complete address publicly. Tell them not to give out information without asking you first and refrain them from taking online quizzes or surveys that require personal data because criminals can use these to steal identities. Be aware of the signs of identity theft and often check your kid’s credit report at least once a year. This can alert you to possible fraud and give you enough time to correct their credit before they need to use it. In case your child becomes a victim, you can file a complaint with the IC3. Your children are your most prized possession, and you would do everything to protect them in the real and virtual world. Take these tips to help you do the task! Monitoring their online activities can take much of your time, so leave other chores like cleaning your house to the professionals and save your time keeping your kid safe! Trying to make both your pets and houseplants to co-exist harmoniously in your home can be quite a challenge. As well-behaved as your pet may seem to be, there can be times when it will just take a bite out of your greens. And no, it’s not just the case of your plant ruined, but what if by chance it was poisonous? That’s why choosing the right kind of plants is a smart measure to take. To prevent this from happening, here are some houseplants that are safe for your pets. Spider plants hold the record for the easiest kind to care for, they grow well in low-light conditions and help sanitize the air in your home. They come in varieties and thrive in a wide range of conditions. They need a reasonable amount of water and need to dry out in between watering. If you have troubles keeping plants alive, then this one’s not only for your pets but you too. Bamboos are non-toxic plants and therefore are safe for your pets to chew on, not that you want them to though. It’s also easy to grow indoors and is another air-cleaning plant. You can keep them in indirect or bright sunlight, and when watering, make sure that you use room-temperature filtered water only when the soil feels dry. They can grow up to 12 feet high with a width of 5 feet. If you’re a huge fan of succulents or plants that don’t need much water, the Echeveria is an excellent, pet-friendly choice for you! This type of plant is drought-tolerant and can tolerate extreme temperatures, including frost. 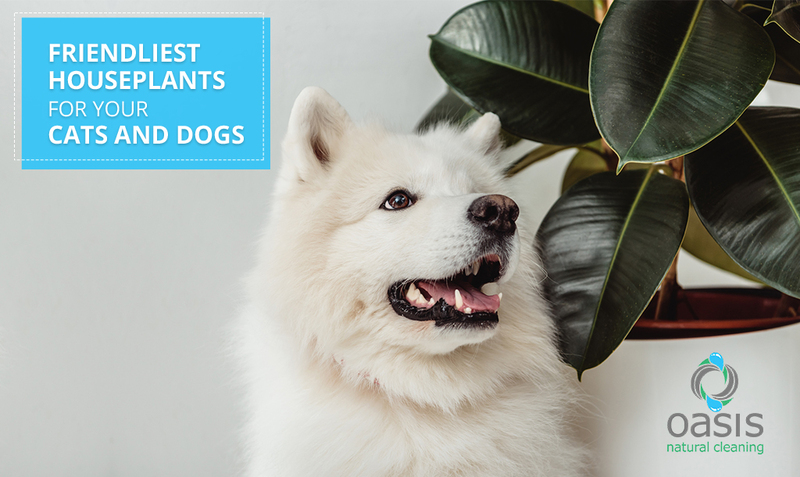 With proper tender love and care, making sure they get plenty of light and keeping their soil moist, you and your pets can enjoy its beauty in sight. It’s a versatile plant great for decorating, too! If there’s one thing that you can learn from Garfield the Cat, it’s that ferns are non-toxic and cat friendly indoor plants and for dogs. Boston Ferns are the easiest type of ferns to care for. They are great in high humidity with indirect light, so you may consider hanging them in the bathroom, ensuring that they get the humidity at dimness they need. Aside from that, they can serve as a fantastic aesthetic and can add charm to your bathroom. Another succulent pet-friendly houseplant is the ponytail palm. It looks like a palm with long, thin leaves, and a thick trunk–another exciting choice for home decoration. Although it does best in bright light, ponytail palms can also thrive in any lighting conditions. Even if you keep it indoors half the year, it can still survive–provided you have exposed it to sunlight during the other half. It’s a wonderful option if a small indoor tree is what you’re looking for because it grows up to 3 feet tall. Pets and plants usually don’t get along, but some houseplants can be downright dangerous for your furry friends. So if you want something that can live with your pets, check out these non-toxic plants safe for your cats and dogs! All these given to you by Oasis Natural Cleaning, who can match you with the best cleaning pros who can help you clean any mess your pets and plants might make. Modern life is hectic and getting a great night’s sleep is essential for your health and well-being. Do you have problems sleeping at all? 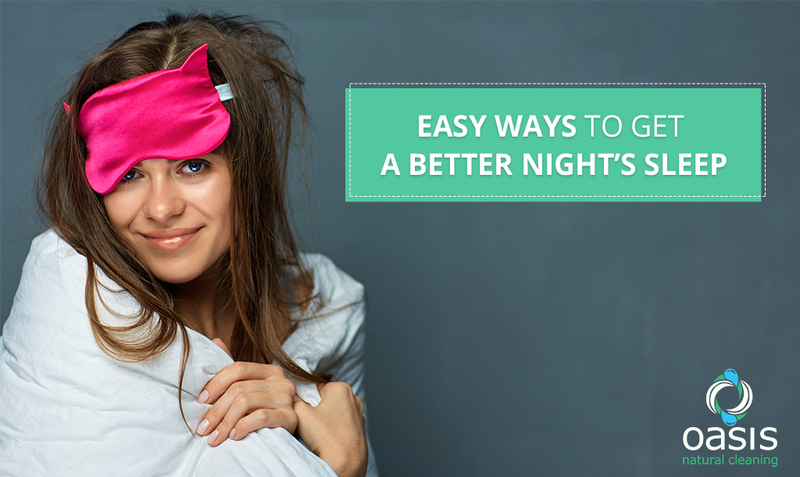 If so, there are 5 really simple ways on how to get a better night sleep from preparation during to the day to make your bedroom into a sanctuary conducive to optimal sleep. You can give your chances of sleeping better a real boost long before you make it into the bedroom. Your body is regulated by a natural time-keeping system known as the circadian rhythm. By getting ample natural sunlight during the day, you keep this system ideally balanced, which in turn promotes how to better sleep. If you live somewhere that sunlight is sorely lacking, consider investing in a bright light appliance to get the next best thing. Even if you’re tired from cleaning the kitchen or dusting the stairway, try at all costs to avoid sleeping during the day. This disrupts your circadian rhythm and, if you nap for too long, you can end up feeling sluggish rather than rested. If you absolutely must take a siesta, limit it to 20 minutes, and you should wake rejuvenated without any negative impact on your sleep that night. And just as you should brighten your day, you should darken your night. Make sure you keep everything in the bedroom nice and dim. Not only is this more romantic – think candlelight rather than searing light bulbs – but you’ll also be better placed to ease toward dreamland. Your brain needs to be reminded that it’s time to go to sleep, and bright screens or lighting in your bedroom will prevent that. Once you’re finished up cleaning the coffee maker, it can be tempting to reward yourself with a nice latte. We all know caffeine is a stimulant, so make a tweak here. Rather than simply sidestepping coffee late at night, try implementing an earlier cut-off point around mid-afternoon. Coffee stays in your bloodstream for 6 or 7 hours, so it’s well worth pulling the rug on those early evening cappuccinos. Switch to a non-caffeinated drink instead, and you’ll notice a miraculous difference when it comes time to drop off, and your system is not filled with coffee. While you might find hitting the gym or doing laundry every day dull, having a routine is important for your sleep cycle, as you get your brain used to a strict rhythm. Although it’s tempting to lounge in bed at the weekends and to stay up later partying, as a general rule try to keep the times you go to bed and wake up relatively consistent. The body thrives on routines and sticking to a rigid sleep schedule will ensure you have more chance of hitting that elusive 8-hour target. Perhaps you’re just starting to overcome insomnia, and you’re finally managing to get an improved sleep. But you’re still tired. Too tired for housework, perhaps. If so, hiring a house cleaning service is a smart way to make things easy on yourself without sacrificing a natural home.